Grown-up bike technology and quality dialed for big kids looking to attack the trails. 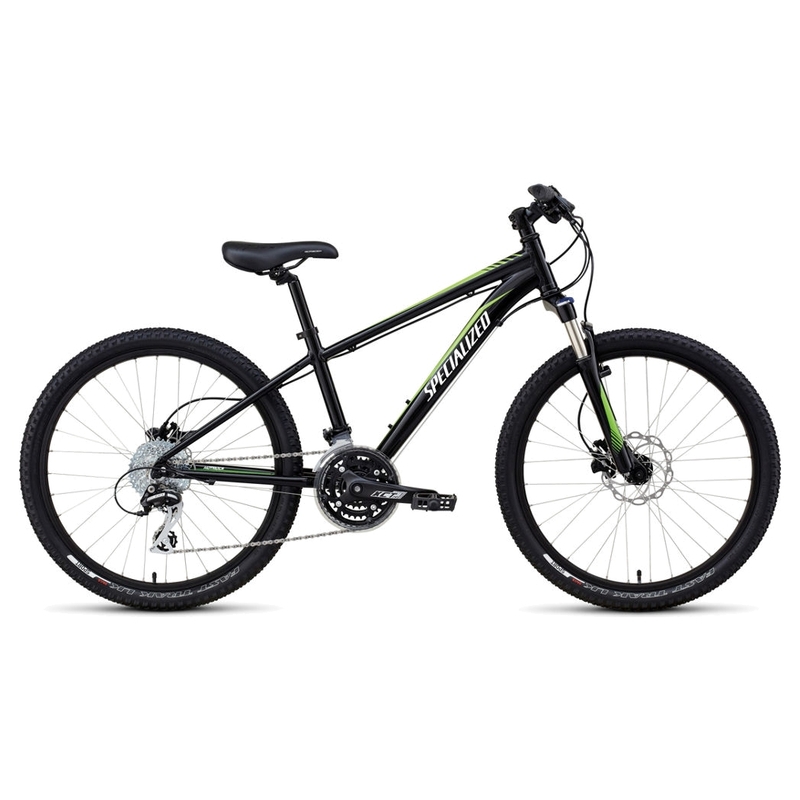 >24" A1 Premium Aluminum frame is built like an adult XC bike for tackling tough trails. >63mm-travel SR Suntour air sprung fork takes the edge off bumps for more control. >Lightweight 32-spoke alloy double-wall rims can withstand years of adventures. >Specialized Fast Trak Sport tires give kids a confident start to trail riding. >Soft Kraton grips w/ gel are easy for little hands to hold tight. >Specialized Henge Kids saddle provides new riders confidence and power.